I was blown away by Tagaq’s set of improvised, non-traditional solo Inuit throat singing, which is usually done by two women facing each other. 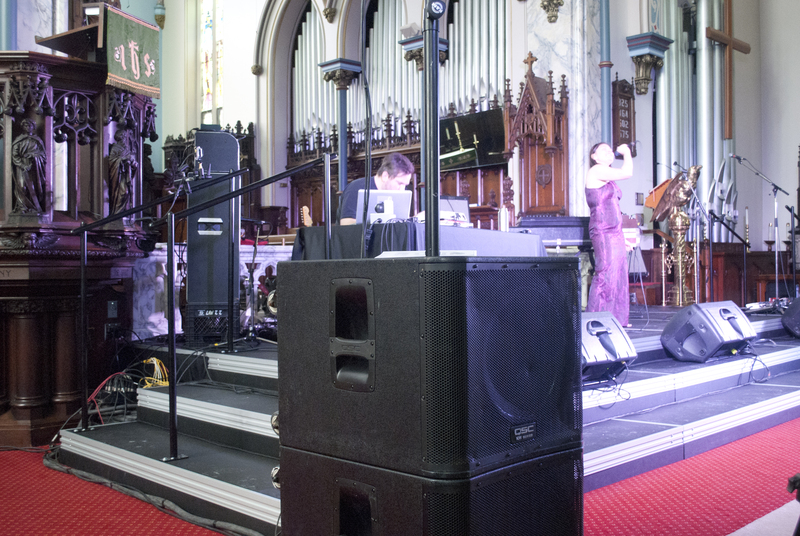 She performed with DJ Michael Red, who provided instrumental accompaniment with recordings of landscape sounds from Tagaq’s native Nunavut, such as flowing water or crunching snow. The song was riveting, from deep screams that echoed against the church walls to calm, melodic digressions, and I was hooked. When it was finally over, I felt a great sense of liberation. But it’s not something that can easily be described – my companion and I both agreed that Tagaq’s sense of physicality was vital to the quality of the performance.